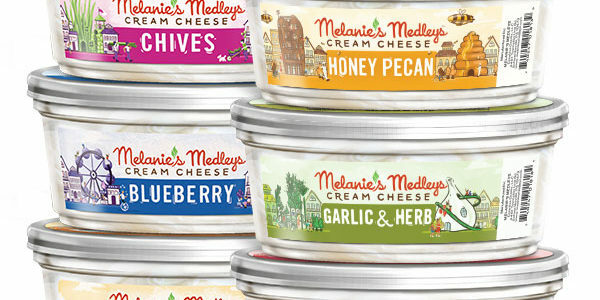 Melanie’s Medleys makes deliciously fresh, wholesome foods that artfully balance indulgence, wellbeing and great taste. 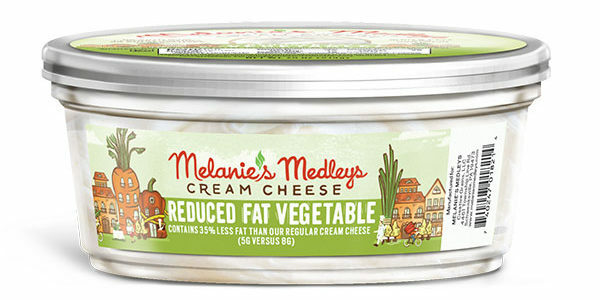 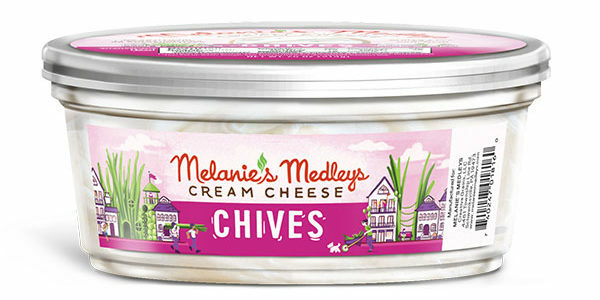 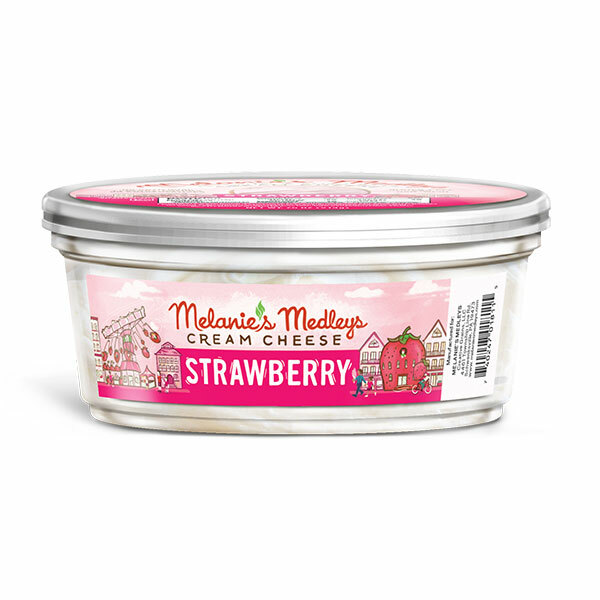 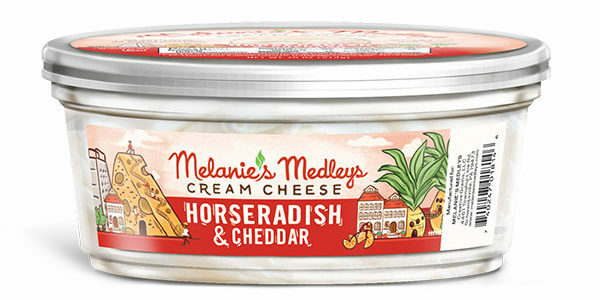 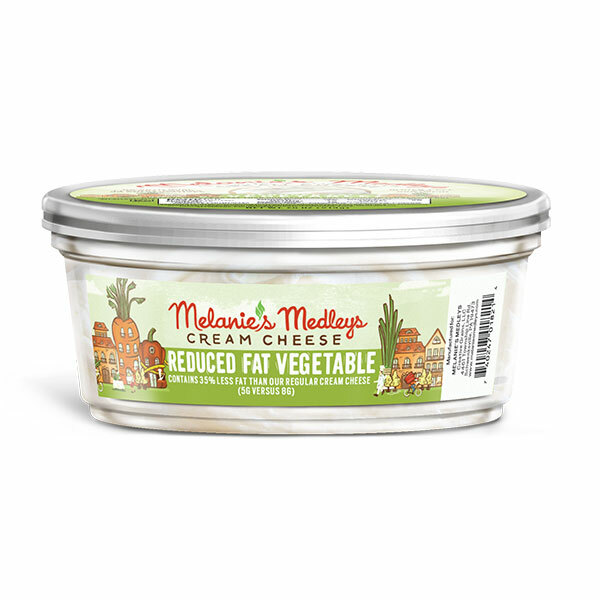 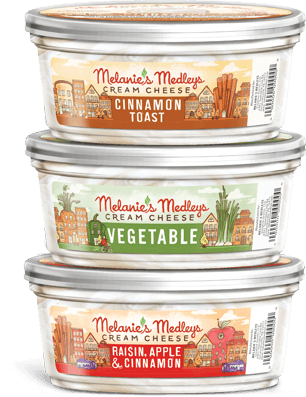 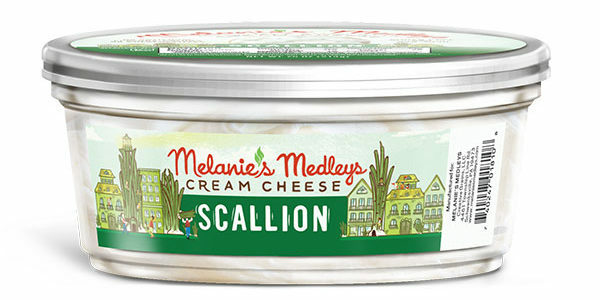 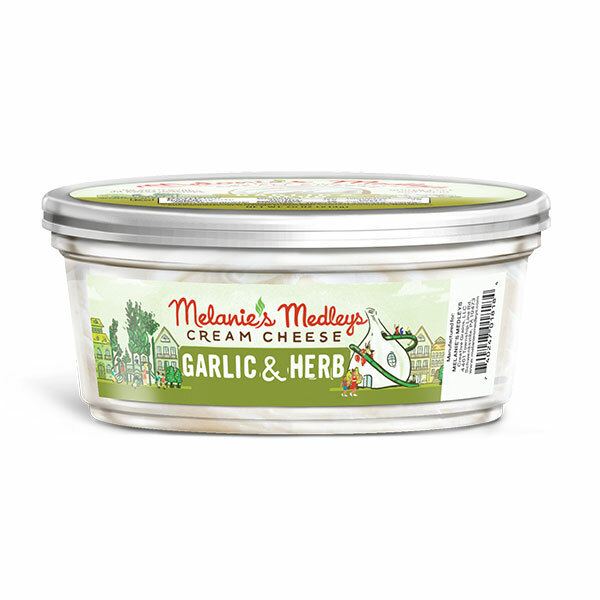 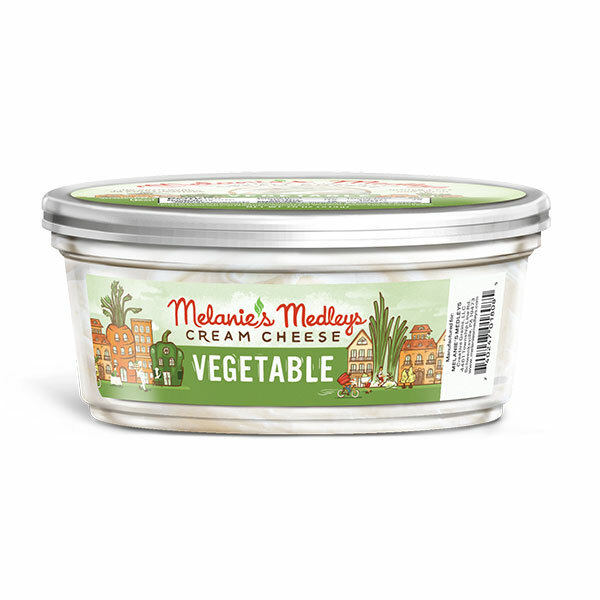 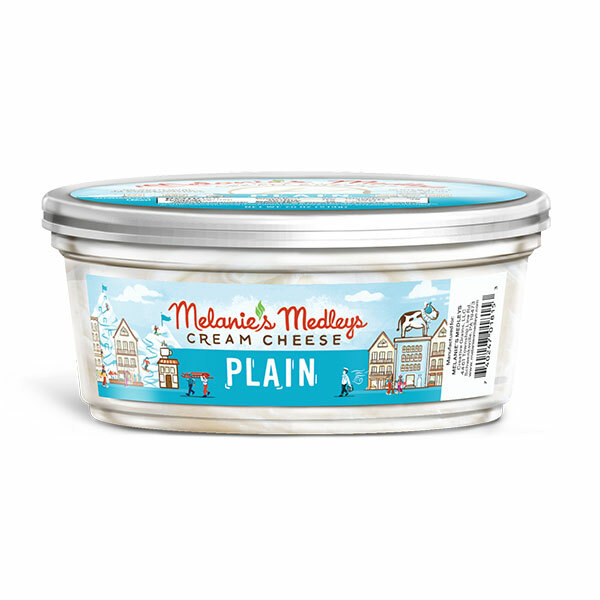 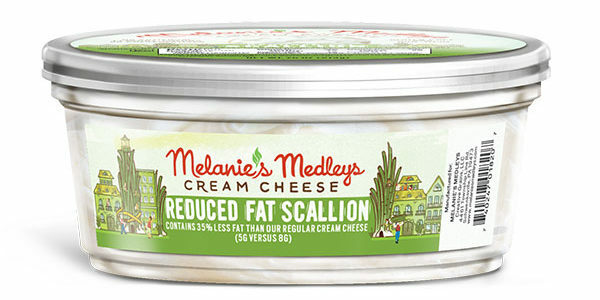 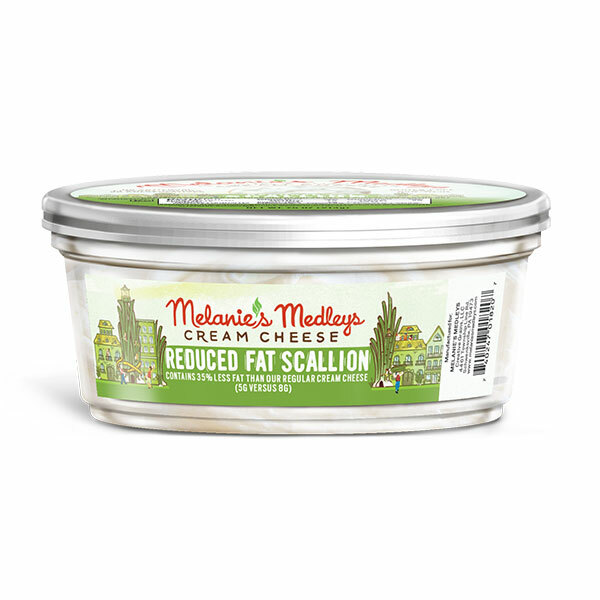 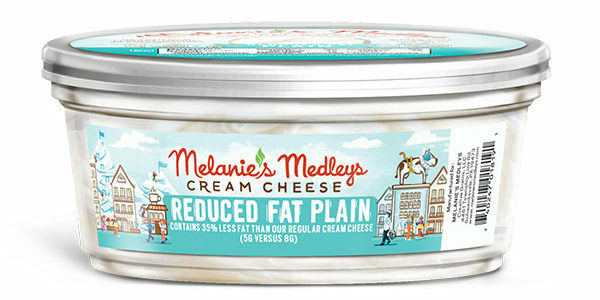 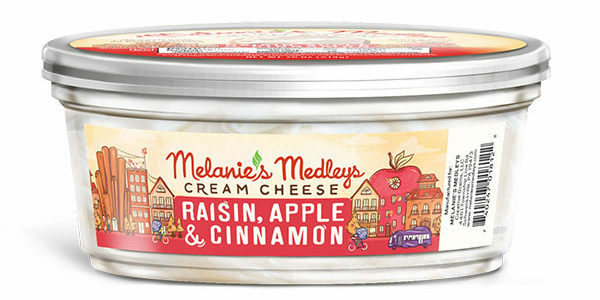 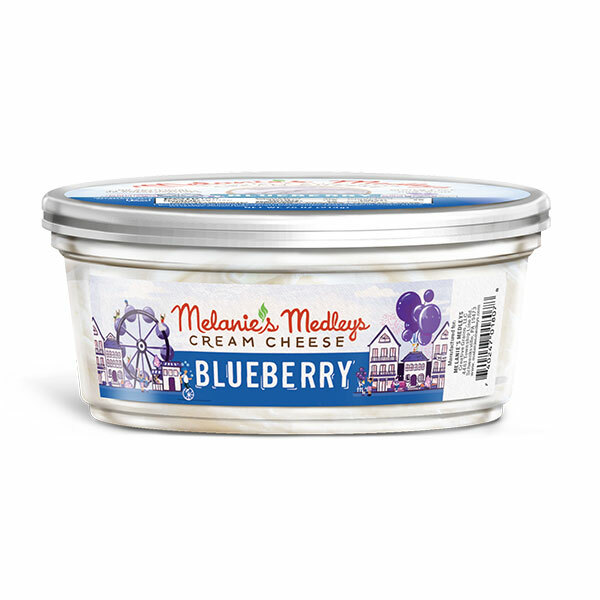 Using only fresh non-GMO and gluten free ingredients, Melanie’s Medleys' clean-label cream cheeses are blended daily in small batches without the use of mechanical separation like traditional cultured cream cheese. 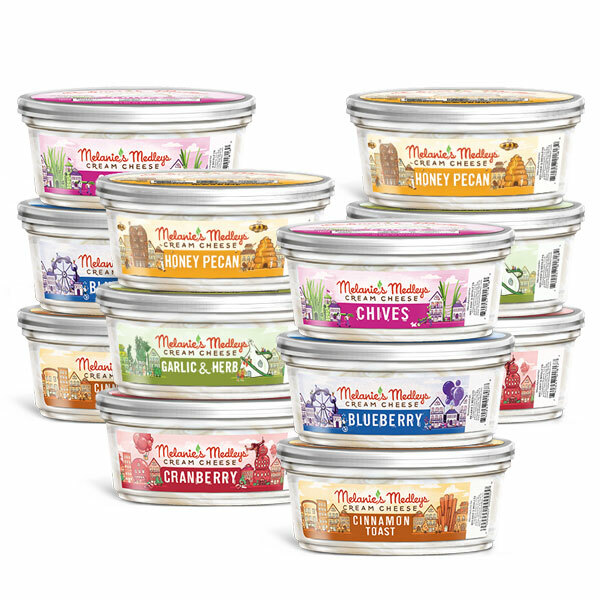 Our pure, clean label cream cheese spreads are handcrafted and blended daily in small batches for smoother texture, better protein retention, and more delicious flavor. 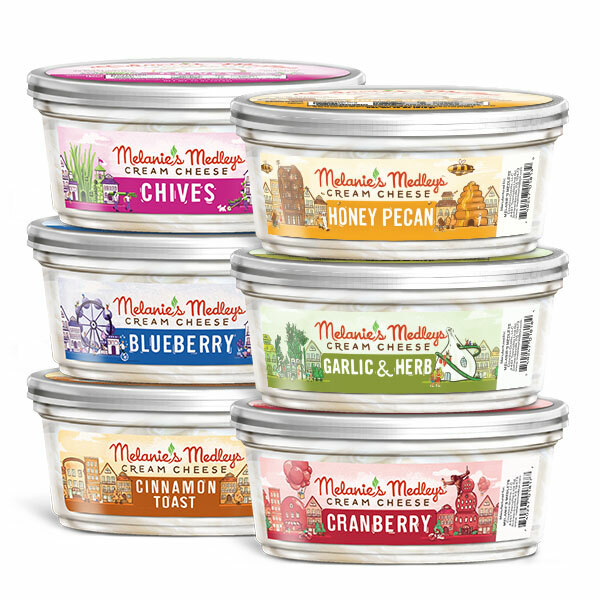 In addition to our most in-demand varieties, we offer a variety of seasonal flavors like Pumpkin Pie and Cranberry. 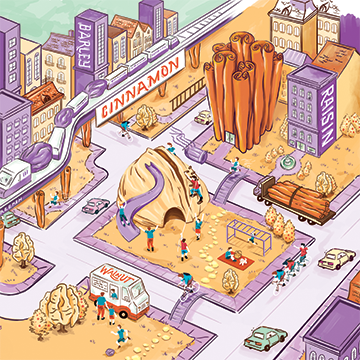 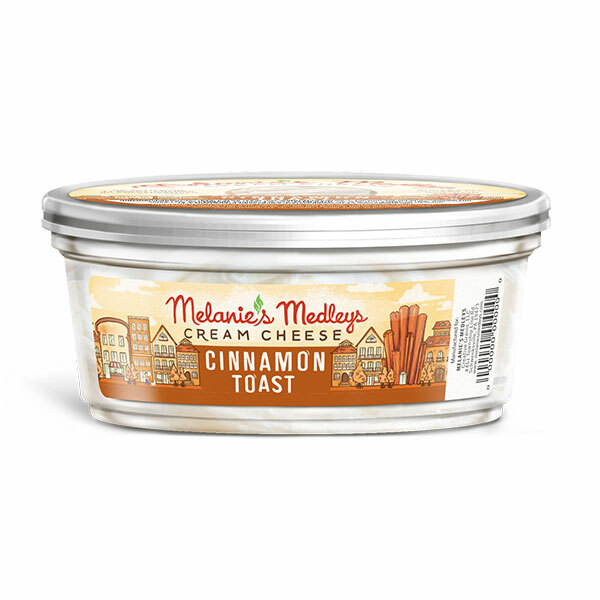 We also love to whip up special edition varieties like our new Salted Caramel and Cinnamon Toast. 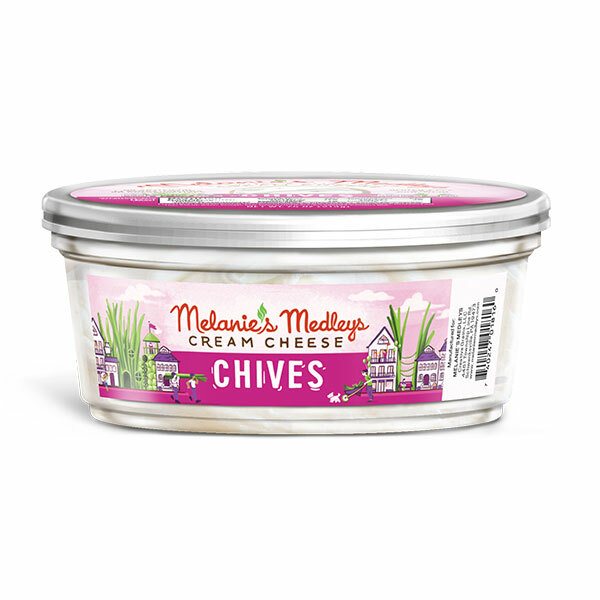 Gourmet whipped cream cheese blended together with chives. Gourmet whipped cream cheese with an indulgent salted caramel flavor. 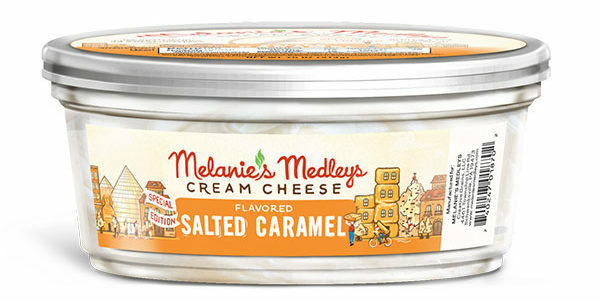 Not too sweet, not too salty! 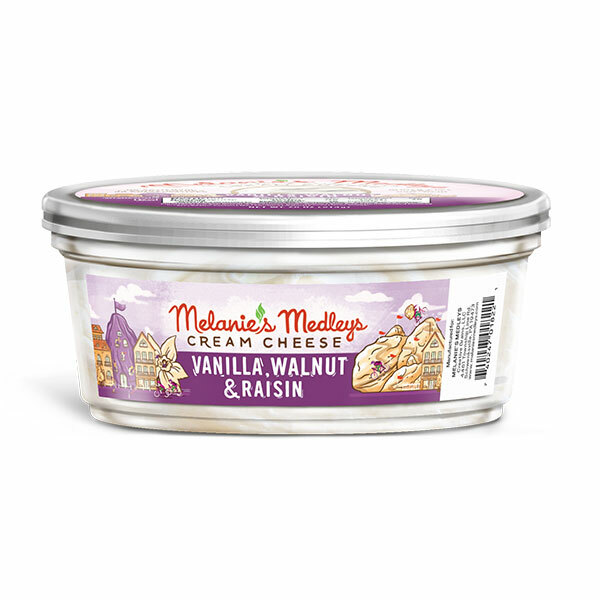 Gourmet whipped cream cheese blended together with plump raisins and walnuts, with a hint of vanilla. 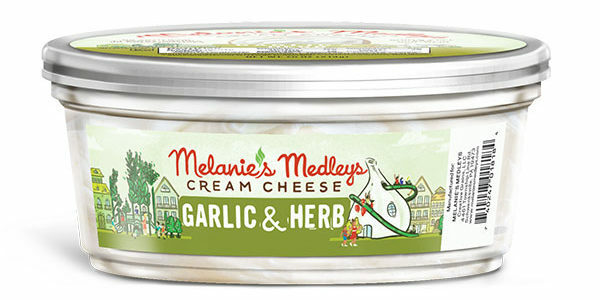 Gourmet whipped cream cheese blended together with garlic & herb seasonings. 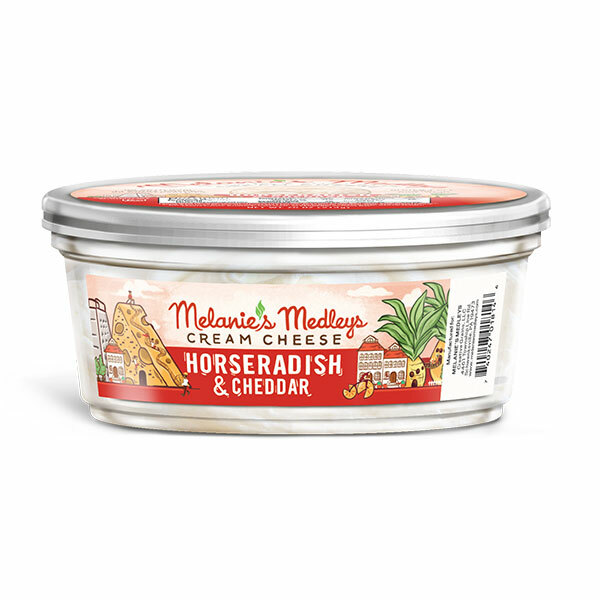 Gourmet whipped cream cheese blended together with fresh ground horseradish & real cheddar cheese. 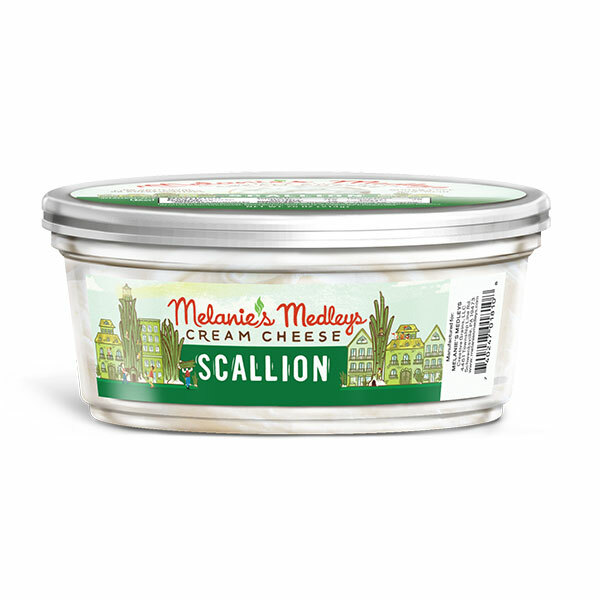 Not too spicy but just enough flavor for you to keep going back for more! 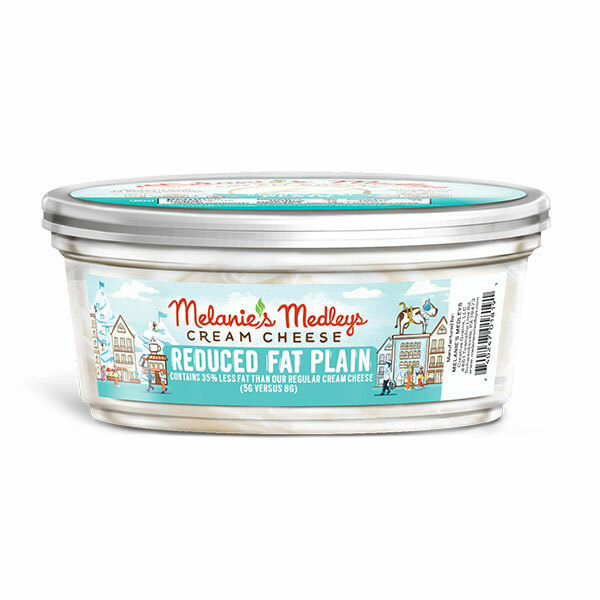 Gourmet whipped reduced fat plain cream cheese. 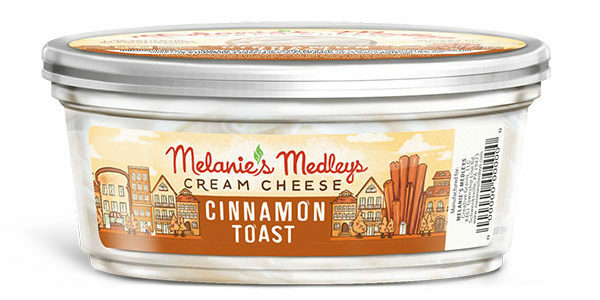 Pure and delicious! Gourmet whipped plain cream cheese. 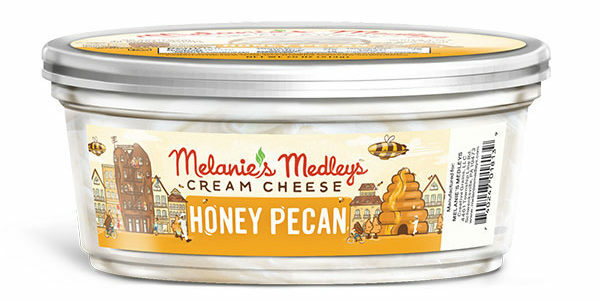 Pure and delicious! 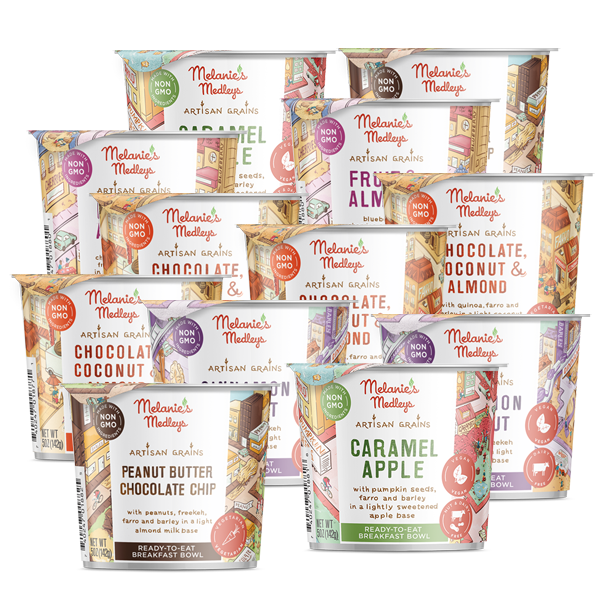 Available in six delicious recipes. 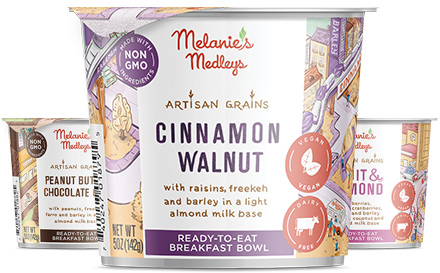 Our Breakfast Bowls are blended in small batches with artisan grains like quinoa, farro, freekeh and pearled barley. We mix in other fresh, natural ingredients with a base of fresh coconut milk, almond milk, or sweetened apple. 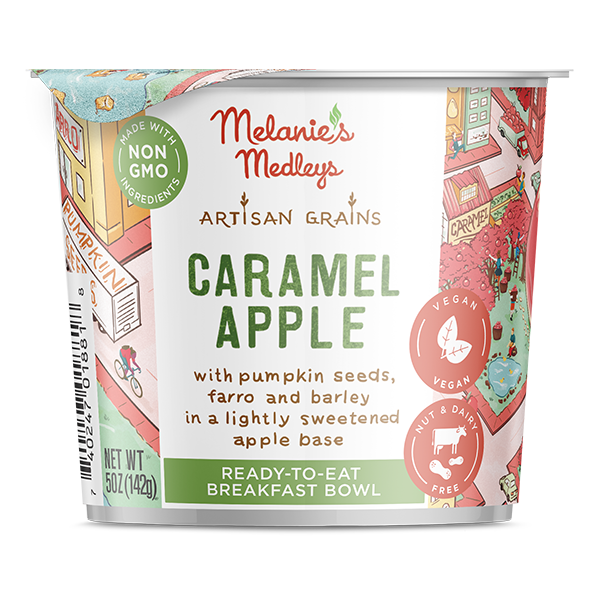 Crisp sweet apple with the savory crunch of pumpkin seeds blends perfectly with whole grain farro and pearled barley in a base of lightly sweetened apple. 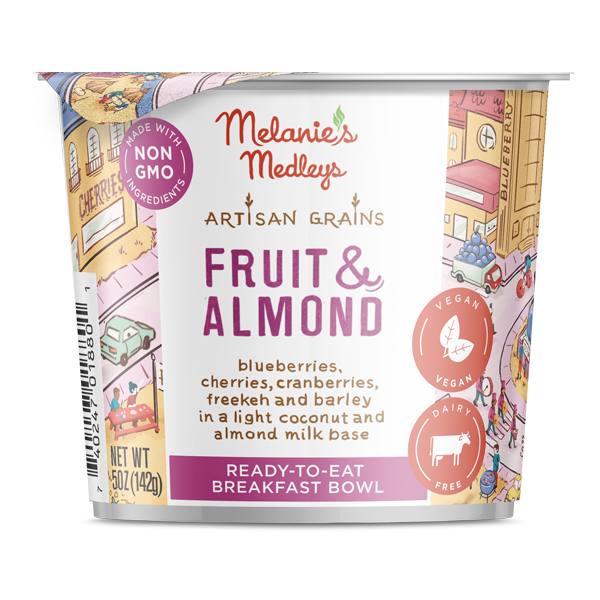 Fresh notes of tart cranberry, sweet blueberry and sour cherry blend harmoniously with whole grain freekeh, pearled barley and almonds in a light coconut and almond milk base. 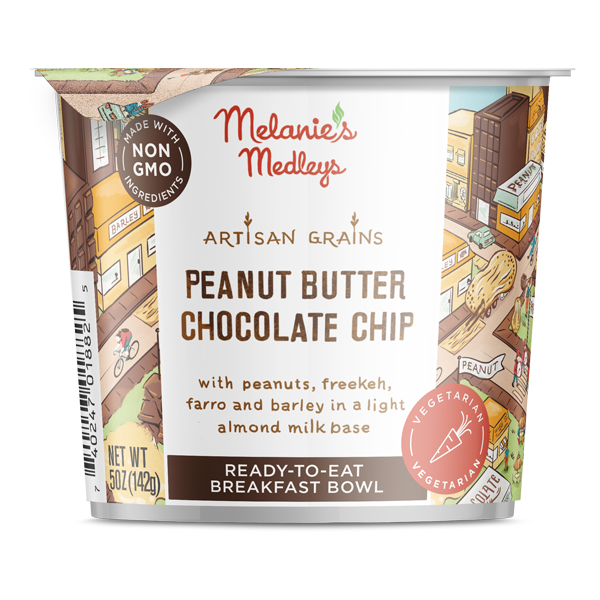 The heavenly combination of chocolate and peanut butter with whole grain freekeh, farro, and pearled barely in a light base of almond milk. 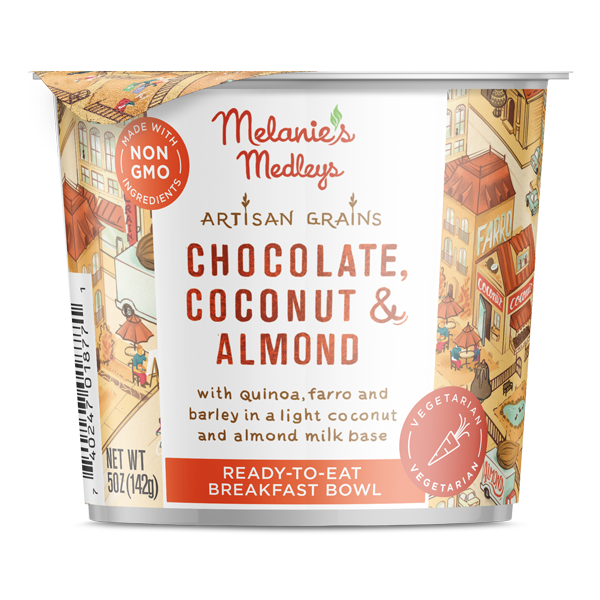 Silky smooth chocolate and chunks of crisp coconut blend in harmony with whole grain quinoa, farro, pearled barley and chopped almonds in a light coconut and almond milk base. 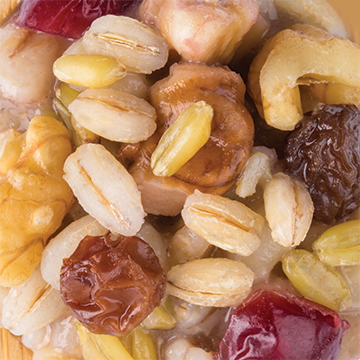 A touch of sweet raisin, a twist of tart cranberry and a pinch of aromatic cinnamon blend in perfect harmony with grain freekeh, pearled barely and walnuts in a light base of almond milk. 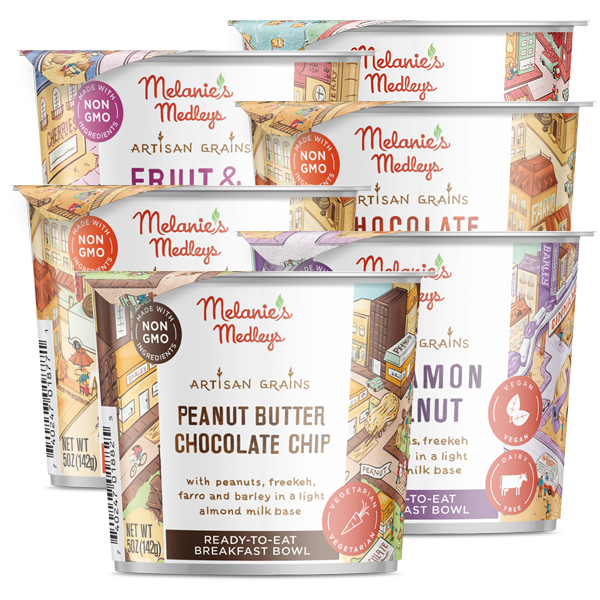 We're expanding to new stores everyday and we're likely in a market near you. 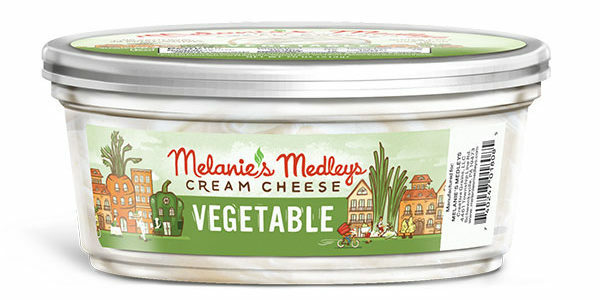 Melanie believes that life is all about balance. 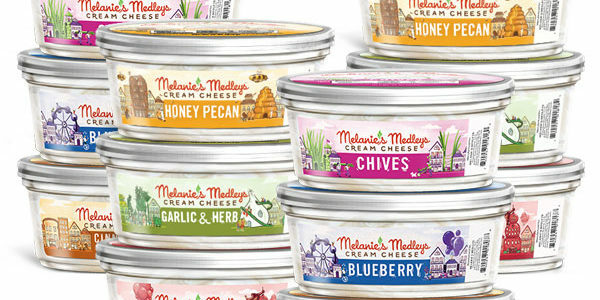 A list of tasty recipes that make use of our delicious Melanie's Medleys products. 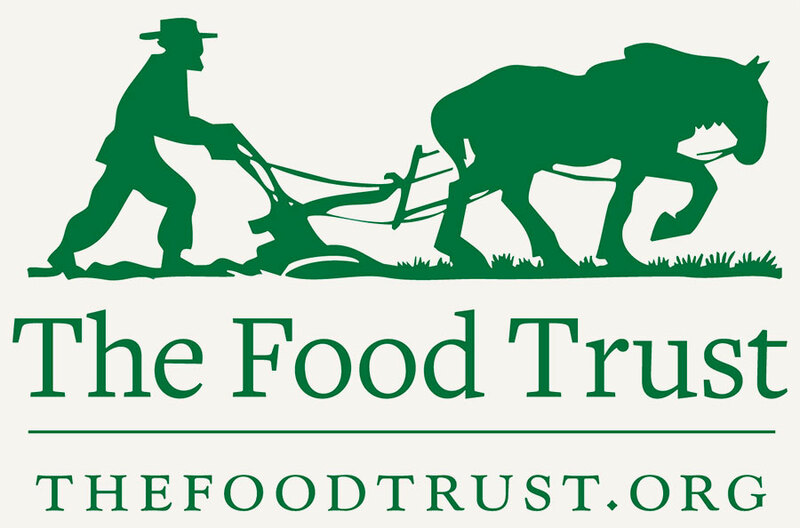 Please look for us and our fine foods at these upcoming events. 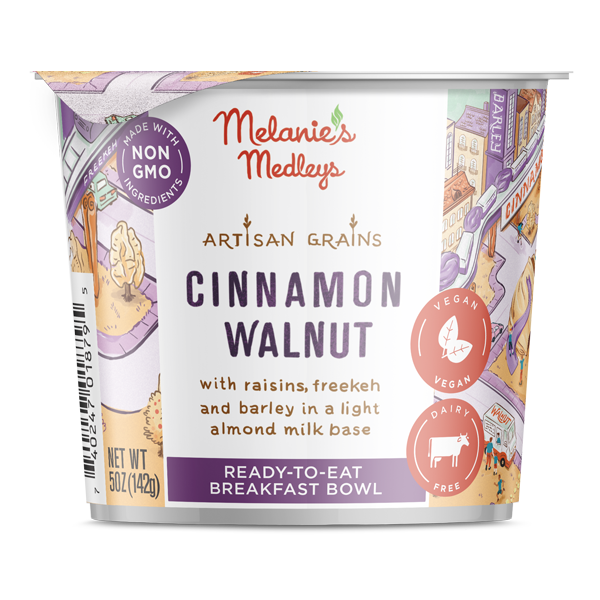 Melanie’s Medleys is devoted to making deliciously fresh and wholesome food using only non-GMO ingredients. 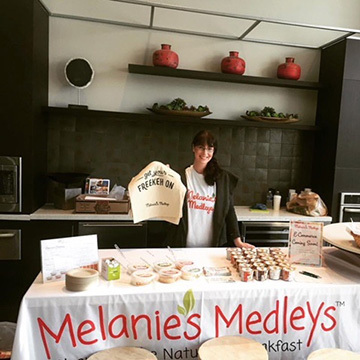 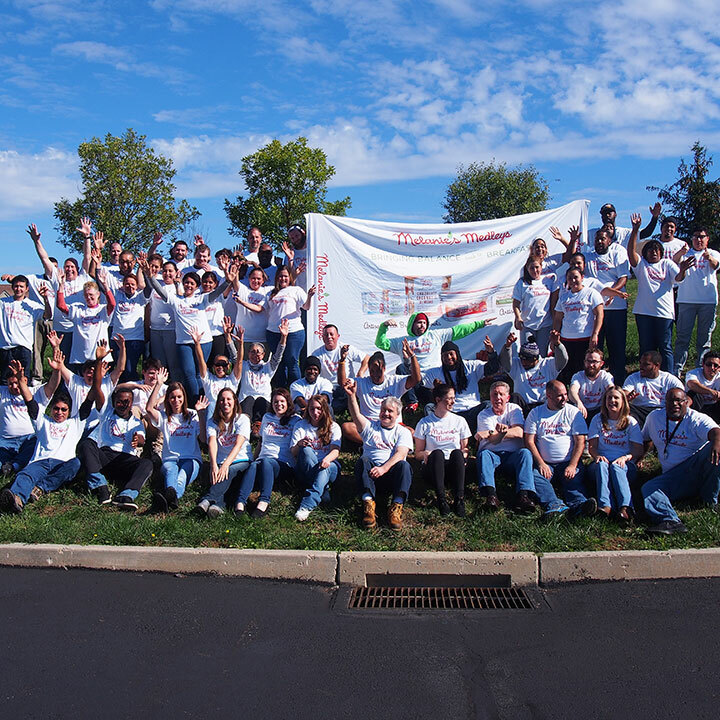 With our partnership with The Food Trust and our contribution of $0.02 per unit of all Melanie’s Medleys products sold to US retailers, we are dedicated to their mission of ensuring that everyone has access to affordable, nutritious food, and information to make healthy decisions.